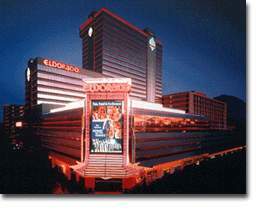 Renos most award-winning hotel casino, the Eldorado, you enter a world of luxurious accommodations, exquisite ding, dazzling entertainment, impeccable service and non-stop thrilling casino action. 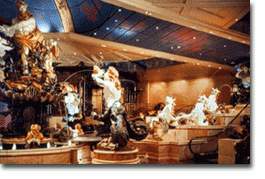 Enjoy nightly shows like the Grammy award winning musical "Smokey Joes Café" or the Irish dance spectacular "Spirit of the Dance". The Brew Brothers restaurant microbrewery features nightly rock, blues and swing bands. "Live the Excitement" at Renos Eldorado!